Taoiseach Leo Varadkar has admitted there were "robust engagements" with EU leaders over the future of the Irish Border after Brexit. It was reported in the British media that last Thursday night, Mr Varadkar "stood up to repeat his ritual plea for EU solidarity with Ireland over the Border" but that Ms Merkel came "straight back at him, reminding him that without a deal, there would be no backstop". Ireland accepts there will have to be "difficult discussions" with the European Commission in the event of a disorderly Brexit. The commission's no-deal contingency plan states there will have to be checks on goods and livestock moving from the UK into the EU. The only way of avoiding this is to come up with a 'special arrangement' which the Irish Government believes will have to be very similar to the backstop. This is likely to be vehemently opposed by the DUP. Mr Varadkar said yesterday that he was "not under any pressure from Chancellor Merkel or anybody else from this issue". "I'm not sure what people think happens at European Council meetings. We don't go to have dinner - we have robust engagements, hard questions are asked and answered and we come to a consensus position and stand by that position." Speaking on RTÉ's 'This Week', the Taoiseach said the EU would give Ireland some leeway to work out an arrangement on Northern Ireland with the UK government. He said the lobbying by Irish officials in recent years means other countries have a "real understanding of the unique situation we face in Ireland". However, he admitted that the commitments in the Good Friday Agreement do "conflict" with our obligations under EU law. At the weekend the Irish Independent asked the man tipped to be the next leader of the European Commission, Manfred Weber, how much leeway he would give Ireland in a no-deal scenario. Mr Weber declined to answer, instead saying that people have to "hope" that the UK will accept the Withdrawal Agreement before April 12. 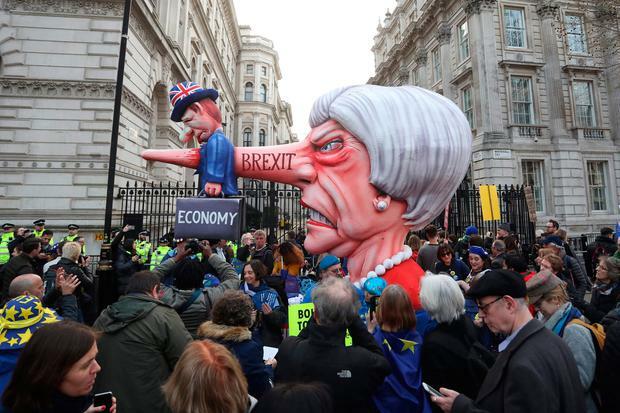 "We are still hoping we can get a better outcome," he said, adding that "political cowardice in London" was starting to "infect the European decision-making process". 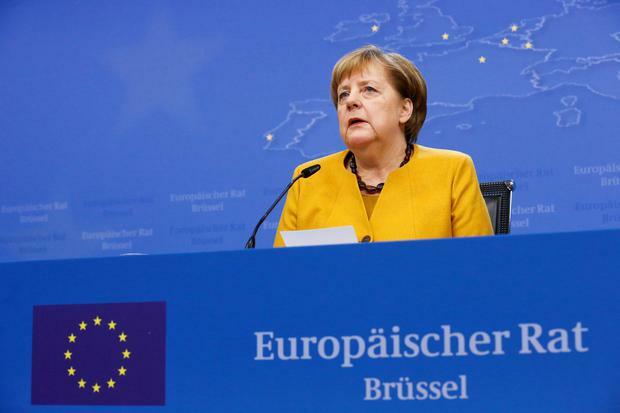 The German politician expressed scepticism about granting a further Brexit delay because it would disrupt the European elections. He said while Ireland is prepared for that, other countries are not and do not understand why a country leaving the union would be allowed hold seats in the parliament. Mr Varadkar said the idea of protecting the single market "isn't some nasty EU regulation". "It's our single market. We do need to protect it," he said. But he added: "There'll be consequences to it but it's not going to be a hard border, physical infrastructure, checks. It's not going to be that." Mr Varadkar also took aim at Labour leader Jeremy Corbyn and his Brexit plan. "Corbyn's customs union is 'cake and eat it' as well. It's a customs union but still with the ability to have state aids and so on." The Taoiseach was also asked for his opinion on Ireland rejoining the Commonwealth after the idea was floated by DUP MP Jeffrey Donaldson at the Fine Gael party conference. "It's not something that's on the agenda at the moment anyway," he said. There has been surprise after Mr Donaldson was applauded at the conference for making the case for Ireland's rejoining the Commonwealth in order to have "a voice".